Frogmind helped mobile gamers around the world sharpen their minds to the tune of hours of addictive fun when they released Badland Brawl, the latest title in the company’s Badland series. 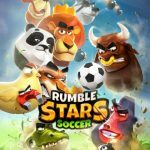 But if you’d rather see the company’s quirky characters match wits on the soccer field, as opposed to the jungle, you should check out Rumble Stars Soccer instead. This new game was recently released for iOS devices, and as we mentioned in our first guide, the mechanics are indeed very similar to Badland Brawl, only this time, you’re playing soccer and choosing which players in a lineup of eight to send into the game. This is a casual gaming experience with lots of depth, so do not mistake this for something out of Ketchapp’s playbook — each Rumbler, or player, has different strengths and weaknesses and different playing styles! We’ve already talked you through the basics of the game in our beginner’s guide, so if you’re an intermediate player looking to move out of Greenfield (or having just started at El Dorado), we suggest you check out our Rumble Stars Soccer strategy guide for intermediate players. If your rating is in the 500 to 700 Trophies mark, this guide should be perfect for you, so keep on reading — this might be just what you need in order to be considered a true expert of the game. Due to his being of Superstar rarity, you may or may not be lucky enough to find him while you’re still in Greenfield I or II, but if you are lucky, you’ll end up with Hipdozer, a Superstar Rumbler who is the best example at this point of a player who can induce own goals. (That is, one of your players unintentionally sending the ball into your net.) While he’s extremely slow, he’s also extremely hard to take out with Mr. Fire or similar Rumblers, and he’ll just keep bulldozing his way (hence his name) toward your goal, slowly but surely bullying his way until he sends the ball past your goalie. The own goal-inducing part oftentimes takes place near the goal, as sending Mr. Fire (to dent his health/Stamina) or Raging Bull (to tackle him) is usually futile if either one of those basic Rumblers aren’t leveled up sufficiently. 2. Rumblers Should You Send To The ‘Bench’? Once you start unlocking new Rumblers like the ones we mentioned above, you’ll also need to make some sacrifices and send some of your less useful Rumblers to the proverbial bench. We would recommend Lazy Panda, as we personally find him a bit too hard to get in the right spot to score goals — sure, he doesn’t cost much energy to use, but more often than not, it’s just too hard to utilize him properly, considering how he just stays stationary, and doesn’t have that good of an aim to match his shot power. Loyal Dog is another good candidate to hit the showers — his passing ability may come in handy, but we’ve gotten good results far too often with Loyal Dog hardly playing a part in the final outcome. Likewise, we’re not big Magnetman fans either — after playing with him for a while, he just doesn’t seem to do much to justify his energy cost of 4 units. Obviously, your mileage may vary — you may like some of the Rumblers we suggested above, or there may be others we didn’t mention (Striker Tiger? Bomber Hen?) whom you’re not exactly liking. But if you check out the next tip below, you’ll find out soon enough that it’s not wise to take out all your low-energy cost Rumblers in favor of the newer, rarer ones you’ve unlocked. Instead, it’s best to choose an eight-player lineup whose average energy cost doesn’t exceed 4.3 to 4.5 units. Don’t stack your lineup with high-cost Rumblers, and don’t have a lineup full of low-cost ones either. The key here is finding the sweet spot, or finding the right balance, so while you can definitely bench Loyal Dog or Lazy Panda, you may also consider benching Striker Tiger in favor of Hipdozer, if you’d rather have someone who’s almost guaranteed to score slowly but steadily, as opposed to an all-rounder who’s more of a jack of all trades than anything else. This is something we noticed at times when playing Badland Brawl, but in Rumble Stars Soccer, this appears to be a more prominent, commonplace trend — losing could take a whole lot out of your team’s Trophies, even if you lose to a player who’s got a few more Trophies than you do. This is one reason why you may be better off resting rather than playing again to make up for a loss — one bad game may lead to another, and you may be unwittingly digging yourself into a deeper hole than you ever expected! Defeating a much higher ranked team, on the other hand, doesn’t seem to have the expected impact on Trophies. For example, we had 561 Trophies when we lost to a team with 567, and that automatically resulted in -22 Trophies for the entire team combined. A few minutes later, we upset a team with 780 Trophies (that’s over 200 more than us), but only gained 20 Trophies in the victory. It might not sound fair to everyone, but we guess Frogmind simply wants the game to be challenging. You were probably wondering when we would mention this feature, which the game doesn’t exactly teach you about in the tutorial, but is nonetheless important because of its social benefits. We are, of course, talking about clubs, which are Rumble Stars Soccer’s equivalent of guilds. Click on the Club button (second to the right on the bottom menu), and you can either create or join a club, though we would prefer the latter option than the former. Tap on Search and you’ll be able to view a list of Clubs to join — you can search based on the minimum and maximum members or the Trophy requirements, but if we were you, we’d use the Search Bar and enter our country of residence! It’s always better to be part of a club that isn’t just active, but also one where the members communicate with each other, so we would strongly recommend searching for clubs dedicated to players from your home country. Club benefits in Rumble Stars Soccer are similar to those in Badland Brawl — you can ask for certain Rumblers from your fellow club members, and that’s a great way to add to your collection. However, don’t forget to return the favor in the event someone asks you for a Rumbler they might not have yet, or are very close to upgrading! Looking for more tips to win those Rumble Stars Soccer matches? Keep on reading, as we’ve got a few more strategies you can try for yourself the next time you play a game. While Fast Monkey may look close to unstoppable out there on the pitch, thanks to his speed and shot power, he does have some notable weaknesses — one, he’s a bit on the squishy side, and two, he only lasts for 10 seconds worth of field time. A well-timed hit with Mr. Fire could take him out in one fell swoop, effectively taking out the opponent’s best player (in most cases) and wasting six units of Energy in the process. You can also try countering Fast Monkey with Raging Bull, though the latter usually won’t do much damage on the former, due to monkeys, well, being naturally faster and quicker than bulls. Not sure which Rumbler you should be sending out next? When in doubt, always go with defense. Even if your opponent dispatches another defensive Rumbler, that will, more often than not, lead to both sides cancelling each other out, clearing the way for your offense to get back on the pitch and take advantage of the lack of defense. Otherwise, you can count on Bomber Hen, Raging Bull, et al. to neutralize your opponent’s offensive Rumblers. As an added bonus, Raging Bull does shoot from time to time — he’s surprisingly not too bad on the offensive end, given his usual role as a team enforcer! 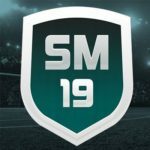 This may sound like common sense, but you should avoid situations where your newly dispatched players clutter into Rumblers who are already on the field. This could be harmful if you’re trying to get optimum position, which could be important in any situation, whether you’re trying to preserve your lead or increase it, or trying to come back from behind. This won’t result in friendly fire in the truest sense, but it also could, if a new Rumbler clutters into a teammate near the goal. 7. Is It Important To String Combos Together, As The Game Suggests? 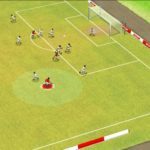 Looking at the game’s description, it might sound like an important skill to learn — stringing combos together for some epic plays, and hopefully some epic goals as well. But as far as we’ve observed, this is one of those games where the art of the combo may be overrated. For one, Rumblers are made available on a random basis — you’ll start with a random starting lineup of four, and the others will become available on a similarly random basis, as long as they’re among your eight active players. Secondly, we believe that choosing the right players for given situations is more important than fancy feats in Rumble Stars Soccer. Sure, it looks neat to send in Loyal Dog so he can lob off a pass to Lazy Panda or Striker Tiger, who would then throw off the opposing goalie, but it’s more important to do things at the right place and time, instead of stringing combos together for the heck of it.